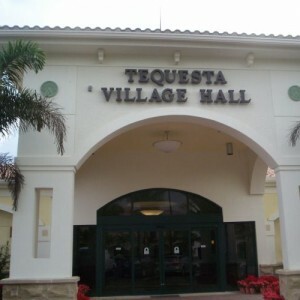 The single story Tequesta Village Hall was built adjacent to the existing Village Hall keeping the facility in operation. While the function of the building is fairly typical with Council Chambers and offices, the building’s design and components are well above the expected. 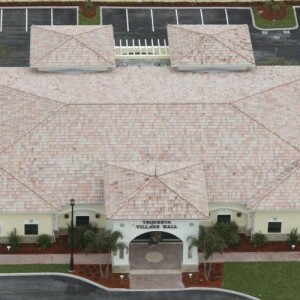 The roof lines with the elevated towers tiled with clay roofing contribute to the design character of the building. The building exterior is cast stone veneer ,wainscot and stucco, half circles and embedded medallions. With roof spires and decorative metal grilles the exterior is augmented with lush landscaping and brick paver walks. On the interior, the floors are marble, porcelain and there is carpet throughout the remainder of the interior. Council chambers are appointed with wood veneer panels and domed plaster ceiling.